AB-Dive is the fastest growing, most sustainable and friendliest Diveshop on Bonaire. Together with AB Car Rental we provide our guests with transportation and all the air they can breathe. We provide dive & drive packages for our clients and as a PADI Full Service diveshop we give courses to student divers as well as many guided dives to the best reefs of Bonaire. AB-Dive is fully powered on solar and therefore our slogan is: Powered by the sun, twice the fun! Are you in teaching status and willing to live on Bonaire and work at our dive shop for a minimum period of 6 months? We are looking for you! We are specialized in Shore Diving and we always teach in small groups of maximum 4 students. Safety, fun and sustainability are the three key aspects of AB-Dive. See below for more information or contact us directly. Do you want to climb the PADI ladder and reach the first professional stage? We offer a three months Divemaster Internship. During this period you work at our diveshop and we teach you to become a proffesional in diving! See below for more information or contact us directly. 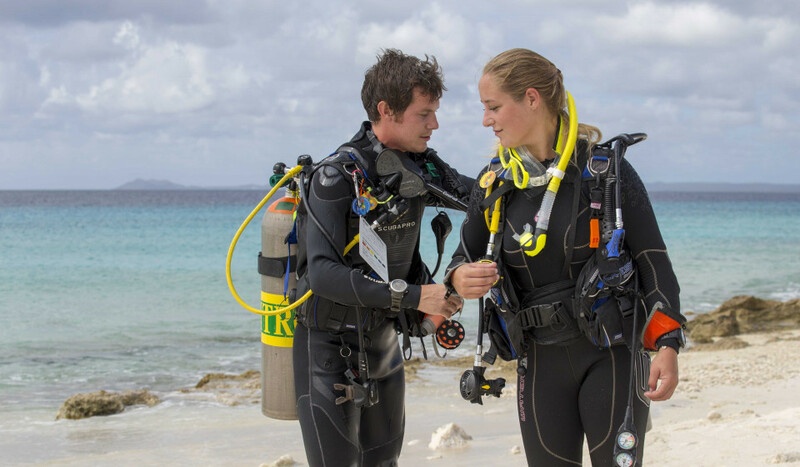 You will teach PADI Courses and specialties and you also guide our guest to (unmarked) locations on Bonaire. You will also work on the dive center and cater to all the needs of our guests. 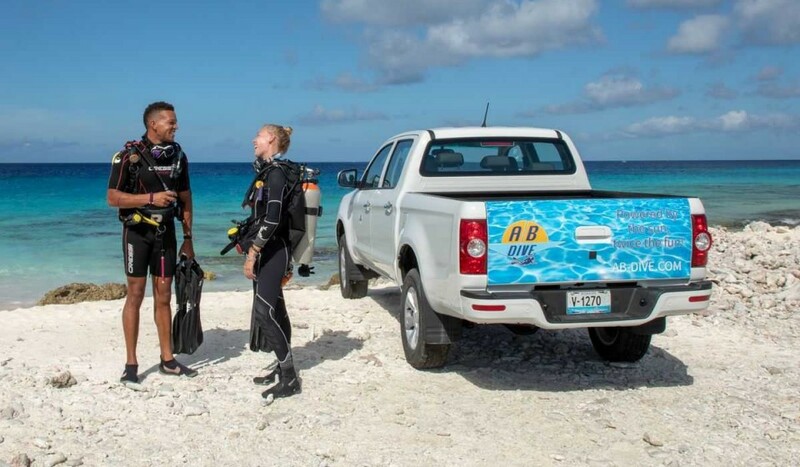 Fill empty scuba tanks, help with loading the dive pickup trucks, advise clients about dive sites and help them with all questions they have and services they need. Are you at least PADI OWSI or higher. Speak English fluently (Dutch or other foreign languages is beneficial) and you have a driver license? Apply now! We offer a full-time job (40 hours during 5 working days per week) in a fun team and with a salary that is suitable for the job. For scuba divers who are looking to progress to a future career in diving we offer an internship to reach the first proffesional level of becoming a PADI Divemaster. Are you a PADI Advanced and Rescue Diver or willing to become this before the internship starts? And do you speak at least fluently English and preferably Dutch or one or more other languages and you have a valid driver license? Apply now! We offer a 3 months full-time internship (40 hours during 5 days per week), during which you complete the divemaster course. The course is for free, you only pay for the Divemaster Crewpack. Next to that we offer a small monthly internship fee.